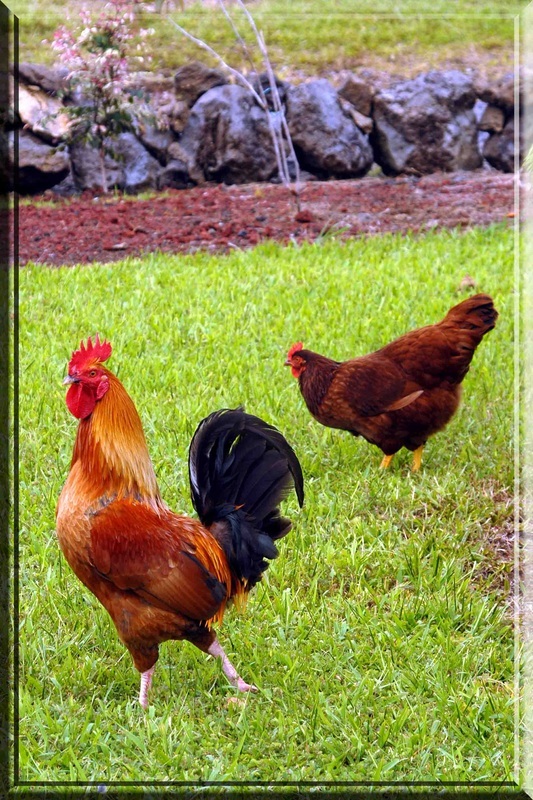 Even before Hurricane Iniki destroyed a huge part of the Hawaiian Islands, chickens roamed free. These Rhode Island Reds are a long way from home. Taken in Hilo, HI.